Congressman William S. Holman was a Democrat from Indiana. What impact could he have on federal employees in 2017? 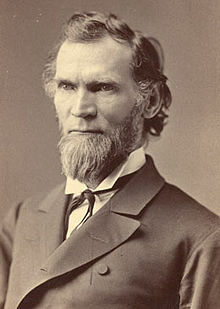 Congressman Holman served through 16 Congresses and died in 1877, shortly after his last election in 1876. Today, he would be known as a fiscal conservative. His values would be out of step with today’s Congressional Democrats. He was best known for his intense opposition to federal spending. His frugality was legendary. That is where his legacy may impact today’s federal employees. The Holman rule was named after Congressman Holman. It is not a new Congressional rule. The rule was first implemented in 1876. Its purpose was to cut government spending. Its popularity and use has waxed and waned since that time. It gave the House Committee on Appropriations authority to cut back on spending by reducing the number of federal officials cutting the salary of federal officials. It was also a way to quickly reduce the compensation of any person paid out of Treasury funds and to reduce the amount of money covered in an appropriation bill. The purpose of this provision is to see if the reinstatement of the Holman rule will provide Members with additional tools to reduce spending during consideration of the regular general appropriation bill. The Holman Rule will enable the House of Representatives to reduce the number of federal workers at specific agencies or cut their compensation. It would be done as a provision of or an amendment to an appropriations bill. The rule will allow Congress to reduce the workforce or compensation for employees in agencies covered by the specific spending bill in which the provision or amendment is included. How Would Agencies and Employees Be Impacted? The House Rules would allow cutting back on programs in agencies through the appropriations process. When money is funding an agency’s program, that program will presumably become extinct or ineffectual. Today, the House of Representatives will consider a rules package that aims to further undermine civil service employee protections by stripping away necessary safeguards. Reinstating the so-called ‘Holman Rule’ would allow any Member of Congress to simply offer an amendment that could reduce the salary of any federal employee, or eliminate a federal employee’s position without hearings, testimony, or due process. The so-called Holman Rule undermines civil service protections for the millions of working people who process our Social Security checks, safeguard our borders, support our military, research cures for deadly diseases, and carry out programs and services that are vital to our nation. Reviving this rule means lawmakers will be able to vote to cut the pay and jobs of individual workers or groups of workers without getting input from the agencies where these employees work. Ask Department heads to submit a list of wasteful and unnecessary regulations and eliminate them. The Holman Rule will make it quicker and easier to accomplish these goals. No one knows what will happen in Congress over the next few months. With changing priorities, there will be winners and losers. The Trump administration will probably ramp up the workforce and spending in some agencies. Large increases are likely in Immigration and Customs Enforcement (ICE). It is also likely agencies such as the Environmental Protection Agency, Department of Education and Department of Veterans Affairs may not fare as well. It is also likely that pay for performance will also be on the agenda for the federal workforce during the next several years. Vice-President Elect Mike Pence (also from Indiana as was Congressman Holman) recently approved pay for performance raises in 2017 for Indiana state employees. Employees who “meet expectations” will receive a 2 percent raise. Those who exceed expectations will receive a 3 percent raise. Employees rated outstanding will receive a 4 percent raise. Keep in mind that many proposed changes have a positive impact on many parts of the federal workforce. We wish our readers the best in hoping some of these changes are positive in their agencies.